The application of novel, non-thermal technologies for the gentle preservation of foods is increasing. Some of the technologies, such as high hydrostatic pressure processing or pulsed electric fields, are already used in industrial scale. Others, such as cold plasma, ebeam, ultra high pressure homogenization or pulsed light, mainly exist in pilot scale and intensive research is performed in order to develop processes for the production of safe foods in industrial scale. 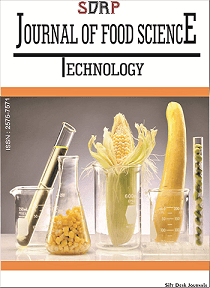 Conventional methods for food pasteurization or sterilization mainly rely on the thermal inactivation of microorganisms, in which microbial safety is usually only made possible by increasing the process intensity, with negative effects on the nutritional value and sensory properties. The aforementioned novel technologies aim to overcome these unwanted side effects by applying non-thermal inactivation mechanisms. Although the basic inactivation mechanisms of these technologies have been described, further studies are performed in order to consider process combinations, matrix effects as well as structural and physiological effects on microbial cells. Furthermore, application concepts have been developed which require the selection of indicator microorganisms and treatment protocols for the validation and control of industrial scale processing. The Research Topic aims to publish state of the art research about underlying inactivation mechanisms of microorganisms treated with novel decontamination technologies and their implication on the development of application and validation concepts.